Credits: Jekich1, Virat, Fire-Blade, modeling. - Mishanka: Residence permit. - Kriechbaum: Sounds engines sending. - NN-Mihail: Technical support, texture. - Robert Bogdanov: Template for skins. - Dave Burgess: Skin "Seven Lincs Transport". 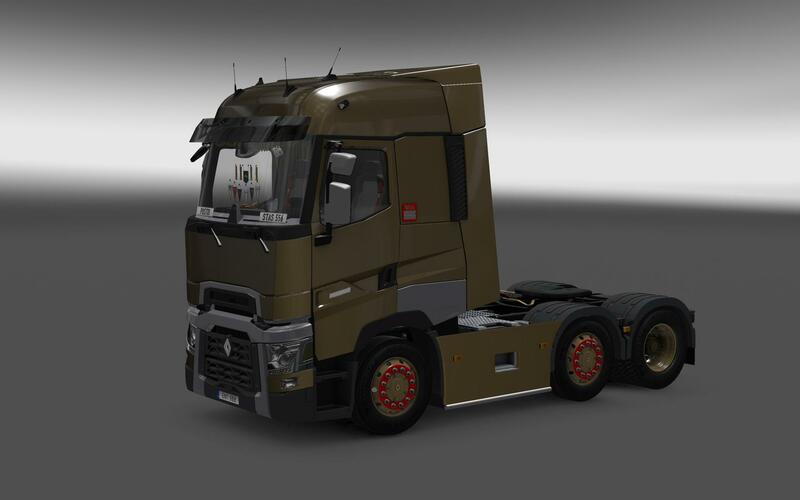 - Evelin Sophie: Renault T Pak.Test Skin, dashboards. - Smith: Zapechka, help with the animation.